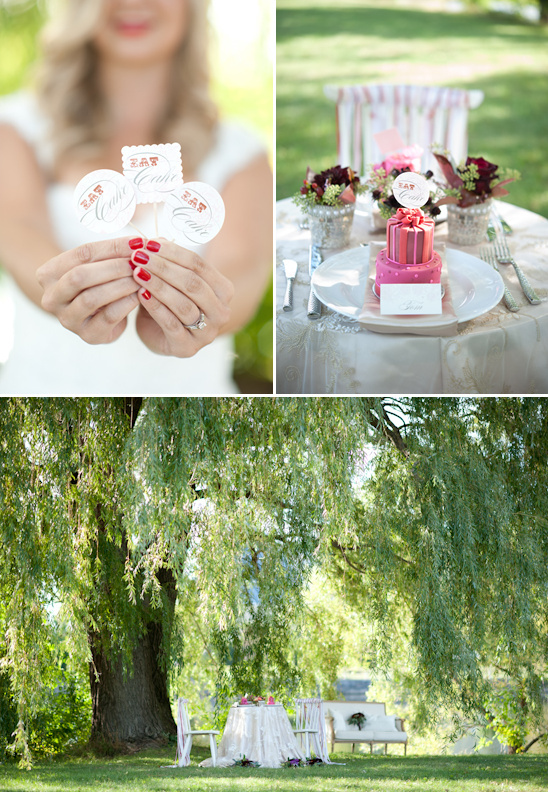 One would not normally think of baby blue and red as wedding colors, but this color scheme really does go well together as you can see from our next inspirational shoot. 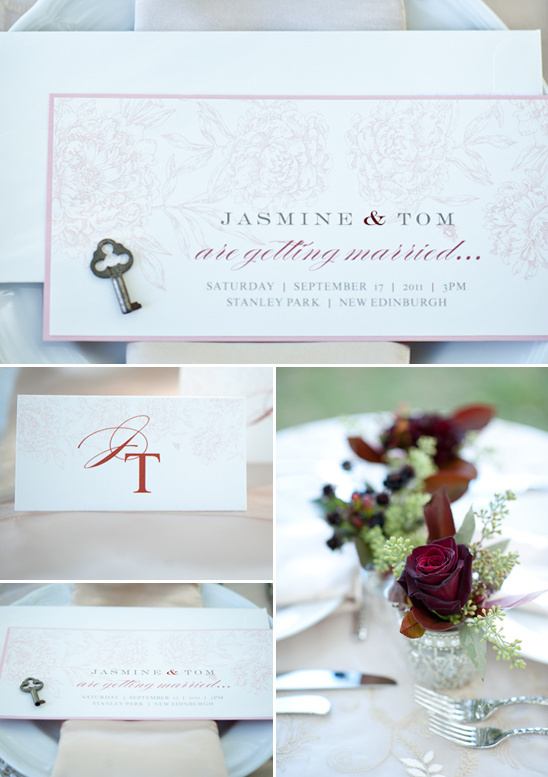 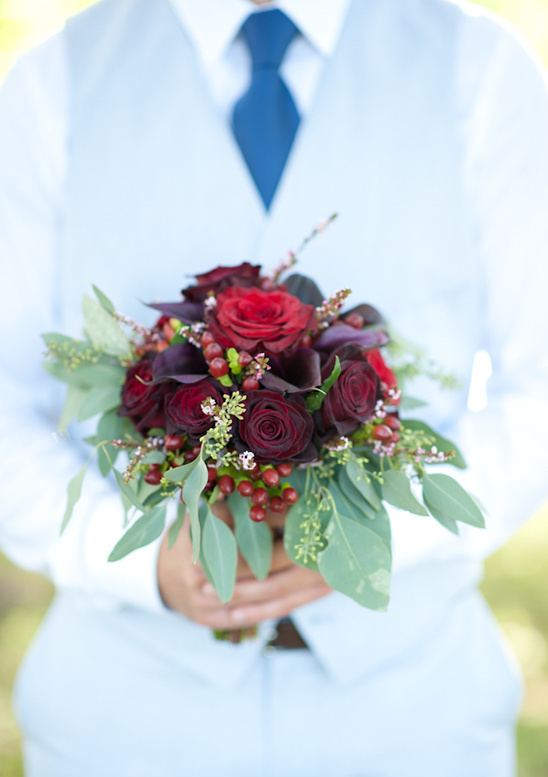 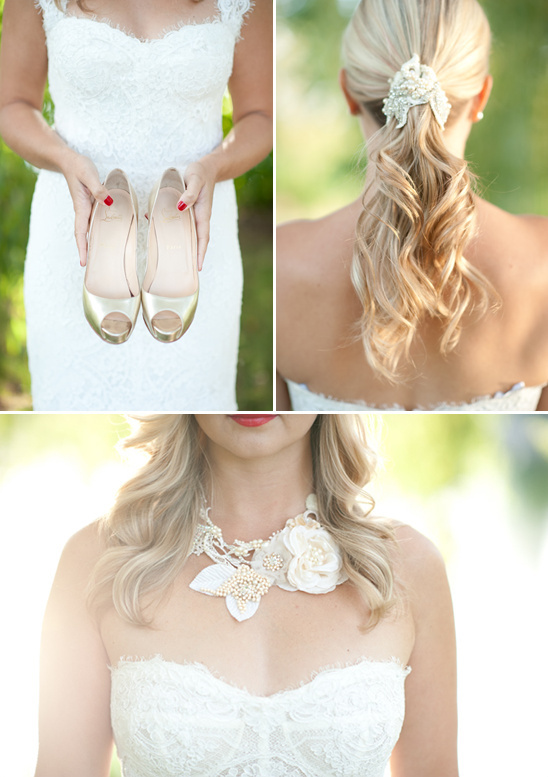 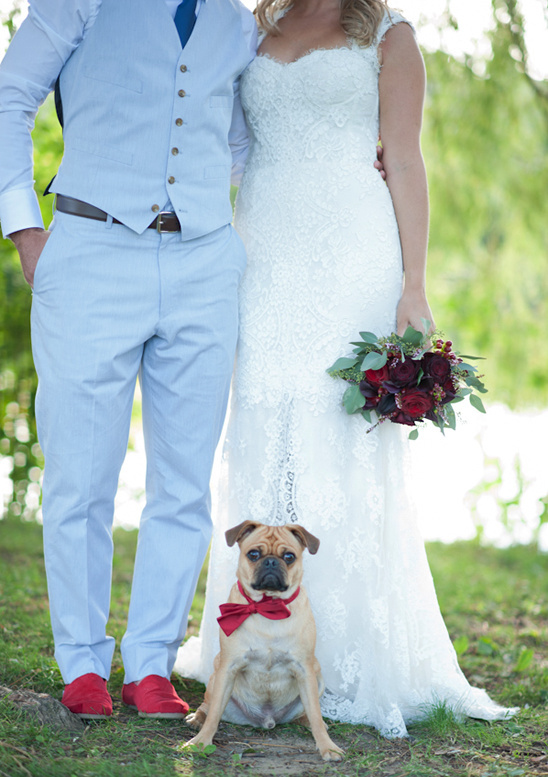 AMB Photo and Marry Me Productions found that perfect balance of creating a look that is relaxed yet fancy all the same moment using a little bit of blue and a splash of red. 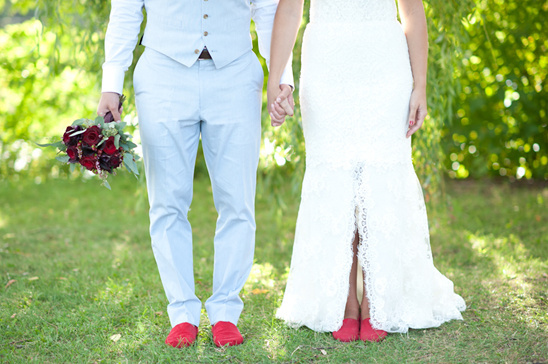 On detail we especially love are the matching red TOMS, a great way to tie in your color, give you a little comfort and help out all at the same time. 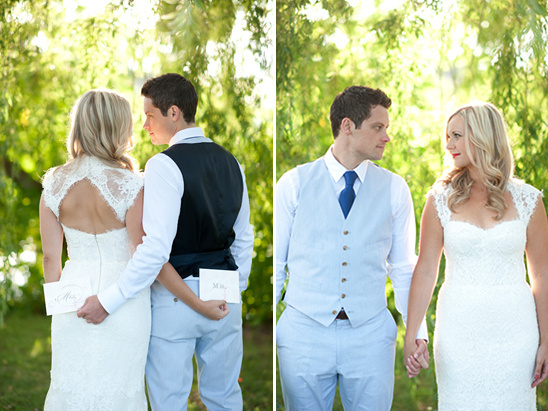 Way cute! 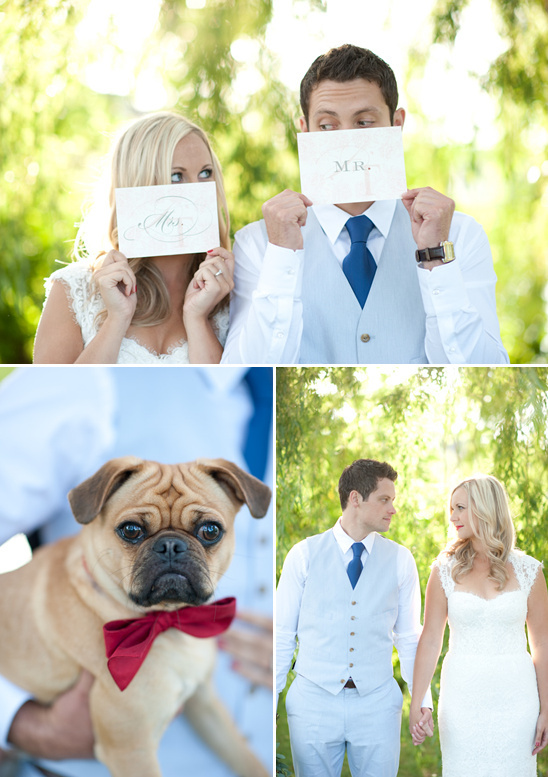 Of course we also love the Puggle, definitely the star of the shoot. 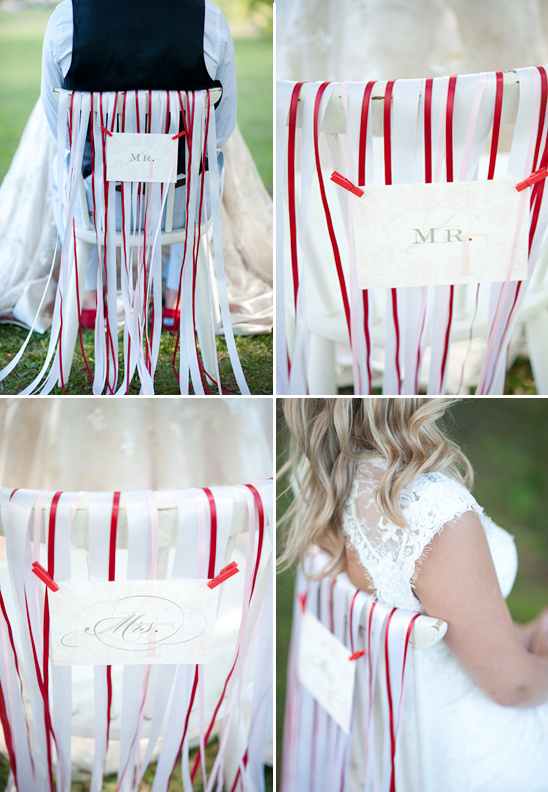 See more up close baby blue and red wedding ideas by clicking here.